counsel patients with genetic disorders or syndromes. Who did rediscovred Mendel’s work? Ans: re-discovered” by three European scientists, Hugo de Vries, Carl Correns, and Erich von Tschermak. What was the contribution of Thomas Hunt Morgan in genetics? Ans: He and his assistants later integrated the theoretical model of Mendel with the chromosome theory of inheritance. 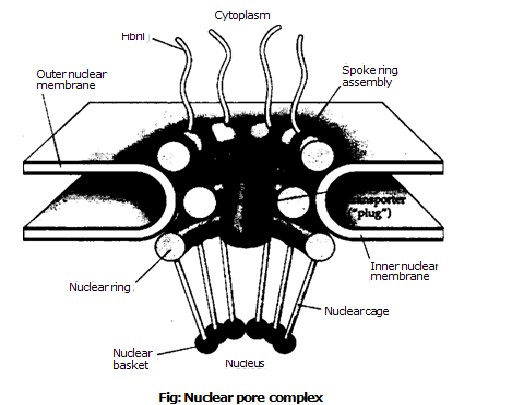 He proved that chromosomes of cells hold the actual hereditary particles. They create classical genetics. It finally proved Mendel’s work. Ans: A more recent development is the rise of genomics. It attempts the study of large-scale genetic patterns across the genome for a given species. Genomics depends on the availability of whole genome sequences and computer tools for analysis of large set of data. Give two reasons for use of pea as experimental plant by Mendel. Ans: It is easy to cultivate and it grow well in his garden. Its flowers are hermaphrodite. What are true breeding verities? Give example. Ans: A variety which always produces offspring identical to the parents by self- fertilization is called true breeding variety. For example, a true breeding round seed plant produced only round seeds. Similarly, a true breeding wrinkled seed plant produced only wrinkled seeds. What is meant by contrasting pair of trait? Ans: Each trait had two clear cut alternative ‘forms or varieties e.g. seed shape has a round or wrinkled phenotype, plant height is either tall or short, seed colour is yellow or green. Mendel called them contrasting pair of a trait. He focused on seven such pairs. Name seven Mendelian characters of pea. Ans: Tall/dwarf, round/wrinkle seed, purple/white flower. Yellow green seed, axial/termtnal flower, constricted/inflated pod and green/yellow po I colour. Differentiate between monohybrids and dihybrids. Ans: The offspring pr Jduced by the cross fertilization between two plant, differii g in one character are called monohybrids.The offspring produced by the cross fertilization between two plant, differing in two characters are called dihybrids. Differentiate between monohybrid and dihybrid crosses. monohybrid cross. The cross in which two traits is followed at a time is called dihybrid cross. Ans: When two pure line parents are crossed with each other, they are called first parental generation (P1). What is first filial generation? generation. All F1 offspring were round like one of the parents. Ans: The trait that appears in F1 is called dominant trait or allele. The trait which is masked in F1 is called recessive trait or allele. for each trait in an individual segregate from each other during meiosis. So that each gamete receives only one of the two alleles. Alleles unite again at random fertilization of gametes when zygote in formed. same, it is called homozygous. When both the alleles of a gene pair in an organism are different, it is called heterozygous. Ans: The cross which is used to determine the genotype of an individual is called test cross. An individual showing a dominant phenotype is crossed with an individual showing. its recessive phenotype. Ans: Punnett square indicates that 1/4 of F2 progeny have ‘RR’ (homozygous round), 1/4 + 1/4 = V2 Rr (heterozygous round), and 1/4 rr (wrinkled). Ans: Mendel actually observed 3:1 phenotypic ratio in F,. While its genotypic ratio was I:2:1 genotypic in F,. What are the particulate hereditary factors of Mendel? Ans: Mendel proposed that each contrasting form of a trait was determined by particulate hereditary factors. He called these hereditary factors as ‘element en’ (allele). What is linkage of genes? Ans: The genes present on the same chromosomes are called linked genes. So all the genes present on the homologous chromosomes are linked. Ans: Thus genes present on the homologous chromosomes are linked genes and they form linkage groups. Can linked gene assort independently? Ans: Independent assortment of genes depends on the independent assortment of their chromosomes. Thus genes present on the homologous chromosomes are linked genes and they form linkage groups. The linked genes cannot assort independently. .
Why Mendel did not face the problem of linkage? Ans: Pea has seven homologous pairs of chromosomes. Mendel was lucky that he studied those seven traits whose allelic pairs were present on different homologous chromosomes. So they were not linked. What is dominance relationship? Name different dominance relations. partner allele on the same gene locus. Different dominance relations are complete dominance, incomplete dominance. Co dominance and over dominance. 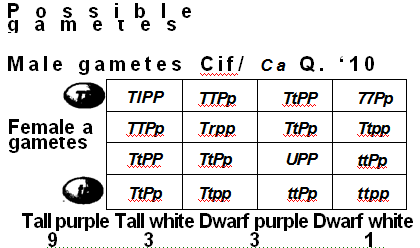 other (r) and the presence of the recessive allele is functionally hidden. What is incomplete dominance? Give examples. Ans: When the phenotype of the hetero zygote is intermediate between the phenotypes the two homozygote, it is calledincomplete or partial dominance. Its example is flower colour in 4 0′ clock. 27. Does incomplete dominance follow the law of segregation? Ans: There is blending of flower colours in F1 So it seems to be against the law of segregation of Mendel. But red and white flowers reappear in F, It indicates that blending does not occur at genetic level. The 1:2:1 ratio in F, shows that the law of segregation is valid for incomplete dominance.